I was all set to declare “The Lord of the Rings” as my favorite trilogy but I realized I didn’t like the second movie that much. 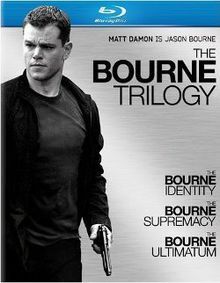 Out of all the trilogies that I’ve seen, was there a trilogy where I liked all THREE movies? I hated Part II and III of the “Matrix” series. Then I found my trilogy set where I loved all three movies.